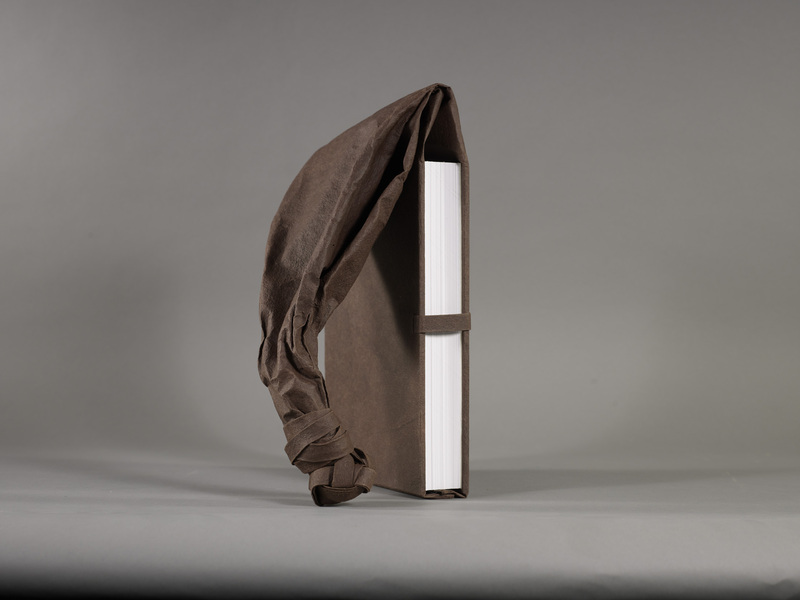 Modified girdle binding, sewn on ramie tapes with linen thread, linen endbands, Cave Paper covering material. Roberta Woodrick is the assistant conservator for the University of Kansas Libraries in Lawrence, KS. She has a background in textile design, and an M.A. in Museum Studies with a three-year internship in conservation.